On to the nails! 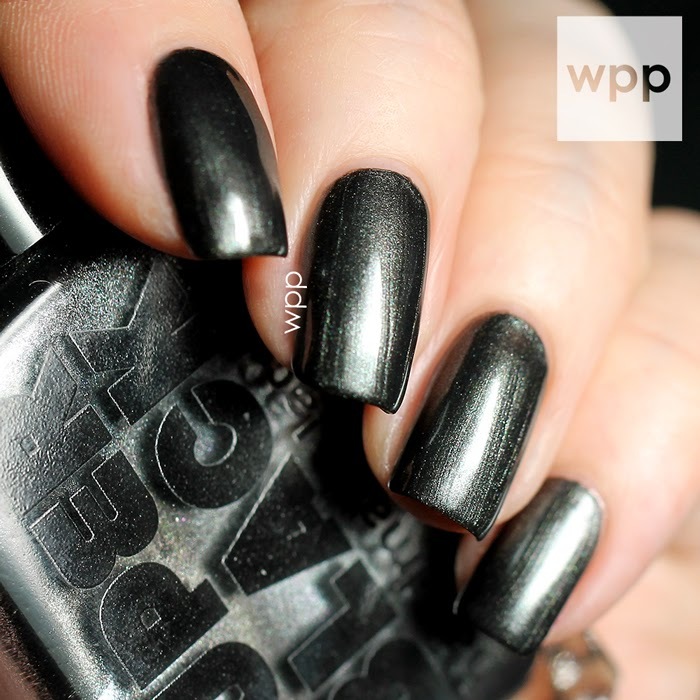 So unfortunately Super Black Lacquers (SBL) 2014 Fall Collection fell in line right as my recent camera issues started. But fortunately, Natalie Dee's creations are always wonderfully seasonally independent...appropriate for any time of year. The 2014 Fall Collection (still her most recent release...which is available now at superblacklacquers.com) includes two shimmers, a metallic, a crelly, and a (super) dense glitter. As always, I love SBL's thoughtful and unique color combinations and her formulas are always on point. Bruiser is a medium purple with a TON of silver shimmer. The result is almost frosty, but still really modern. The formula was really nice. This is two easy coats. Next up is Semi-Automatic. It's a deep gunmetal gray metallic. It's a touch brush-strokey, but it adds to the look, I think. If you look closely, it has this cool blue shimmer. I used two coats. The Perfectionist...be still my heart. This one has my name written all over it! It's a creamy camel-colored base with a unique soft lavender sparkle. Very cool combination. I love this one! This is two coats. Fall Back is a dark, navy blue crelly. It leans slightly teal in a way. I thought this was a straight creme, but the formula is actually on the "jelly" side to me. It was fairly sheer on the first coat, but perfectly opaque in three. You can see some of that sheerness around the cuticle line. Gorgeous end result though. 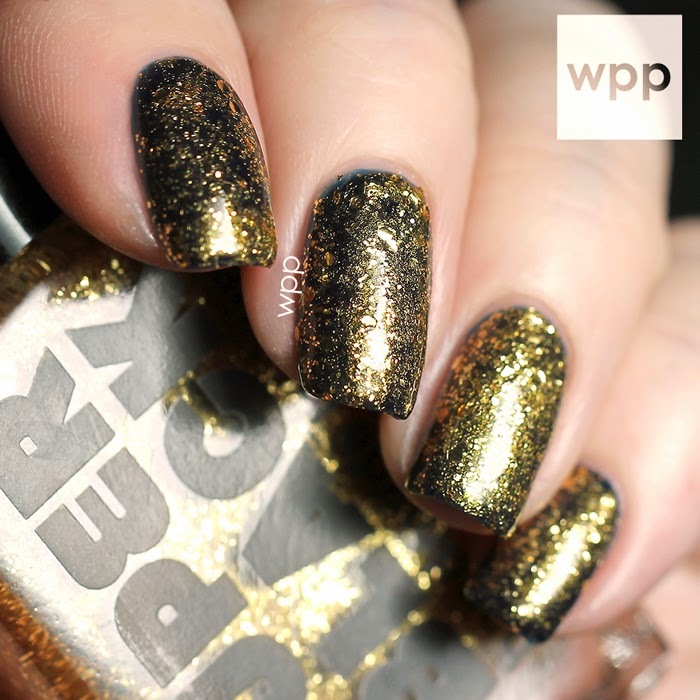 And finally, this is Boss Lady, a super dense gold glitter. I used one coat of it over Fall Back...and it practically covered the blue! This would be killer opaque in just two coats. If you know me, then it should come as no surprise that The Perfectionist is my fave. I'm always on the lookout for work-appropriate polishes with a hidden "punch". But truly, I think all five shades would make a great addition to any collection. The SBL Fall Collection is available now. Each generous 15mL bottle retails for $12. Buy more, save more! Three or more bottles are $11 each and five or more bottles are only $10 each. Purchase them online at superblacklacquers.com and follow SBL on Facebook too.